Google says Pixel and Pixel XL are built on five pillars – Google Assistant, Photography, Storage, Communications and Virtual reality. Google Pixel and Pixel XL come with Pixel launcher and use rounded icons for cleaner look. There is no search bar at the top and tapping the home button launches Google Assistant. Google Pixel and Pixel XL feature 5-inch and 5.5-inch displays with Full HD and Quad HD resolution. The smartphones are powered by Qualcomm Snapdragon 821 processor coupled with 4GB RAM and 32GB storage. 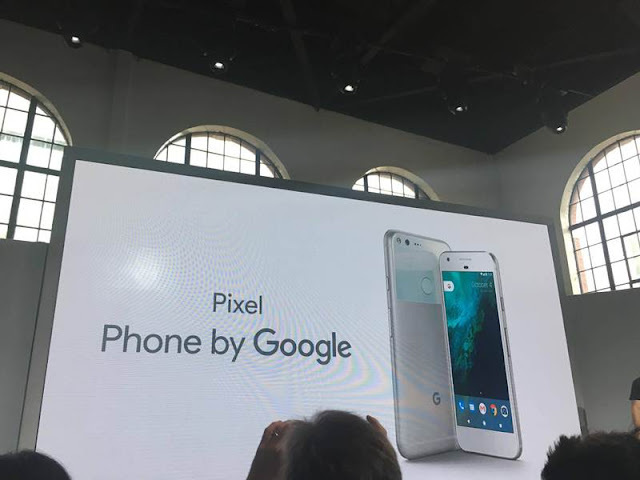 Both the Pixel smartphones feature an all new 12.3MP rear camera with large 1.55 micron pixels and f/2.0 aperture. Google’s Pixel and Pixel XL has scored 89 on DxoMark’s camera rating. Google’s camera brings Smartburst feature which clicks multiple images at once and suggest the best one based on the result. Google’s Rakowski says the cameras support zero shutter lag. The cameras come with OIS and support 4K video recording. Google Pixel and Pixel support pixel imprint fingerprint sensor and use USB-C port for charging. The smartphone will be available for prebooking in India starting from October 13. Google Pixel with 32GB and 128 storage options will be available at Rs 57,000 and Rs 66,000 respectively while the larger Pixel XL will set prospective buyers by Rs 67,000 and Rs 76,000 for 32GB and 128GB variants respectively.